Smooth playing and long lasting! 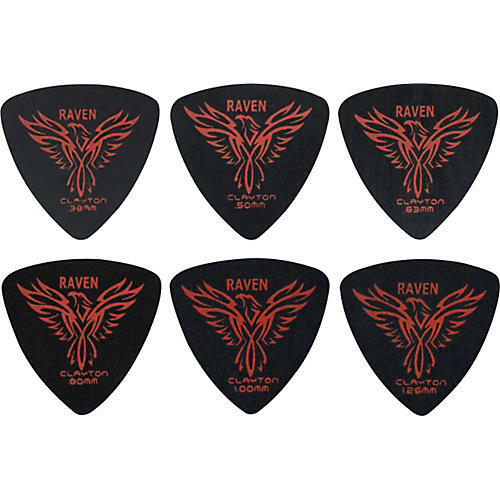 The Black Raven pick has been specially formulated to suit your needs as a musician. This incredible pick is made out of a material called Acetal that has undergone a special process that reduces unwanted string pop. In addition, it produces clean overtones, has a non-slip surface, a fast release, and holds up to even the most demanding performance. Stick a pack of picks in your cart TODAY!